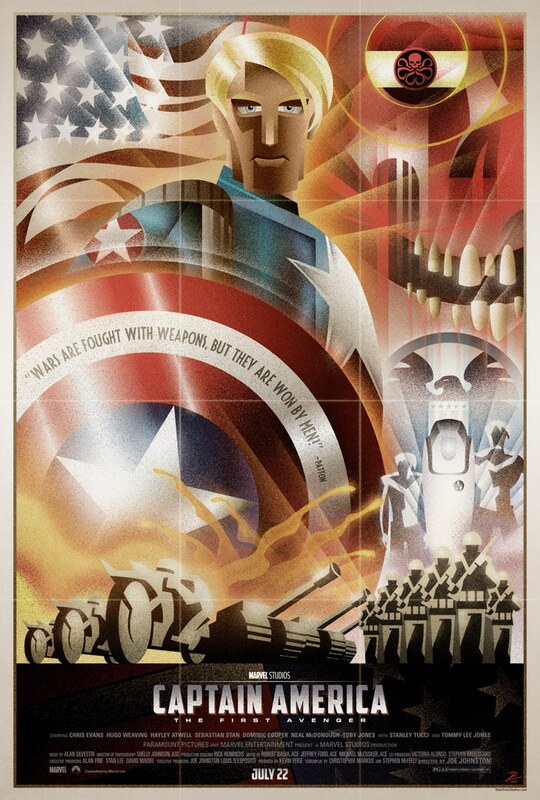 Before heading to the posters, let’s see, who the hell is this Captain. 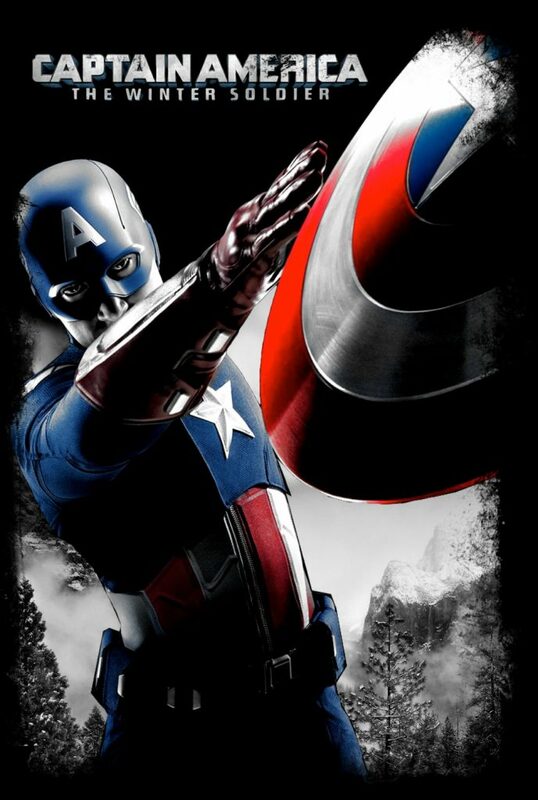 Captain America is the only one who can fight anywhere, anytime, no matter if he has the shield or not. 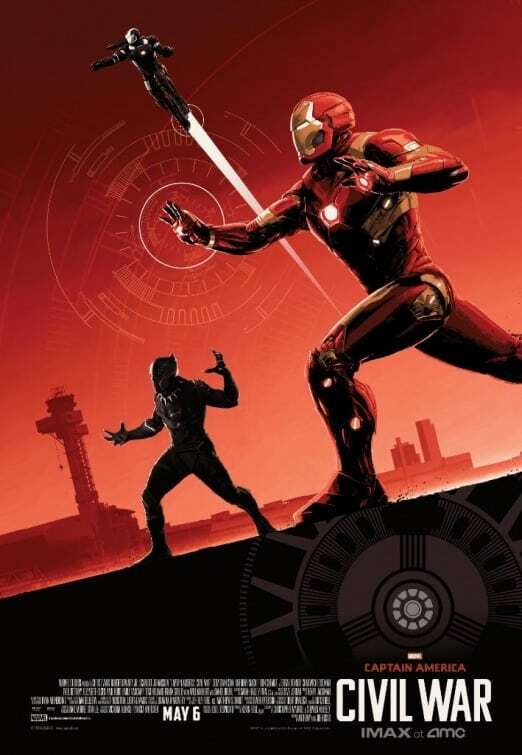 I know, I said that Tony is the only man who can defeat anyone with or without his suit, but, he can only defeat someone, it could be by cheating or tricks, but Captain can fight with anyone with or without his shield as he is physically strong enough to fight anyone. 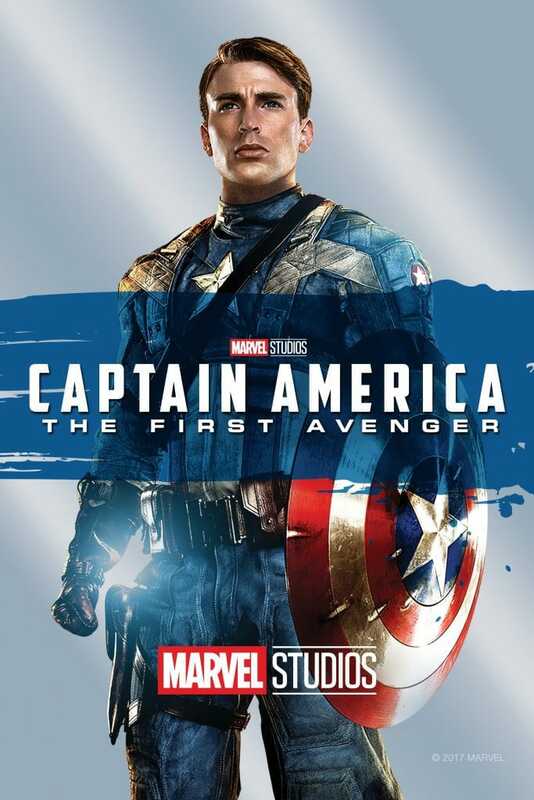 Let’s see what this American fella have which make him stand out from the crowd, with Captain America Poster collection. The movie was released on the 22nd of July, 2011. It was a big hit… uhh, I mean, I wish I could say so. The movie was a flop on box office. Although it made $370 million on a budget of around $200 million, it deserved more. Though the movie is awesome, the reason for becoming a flop is something else. The movie is so awesome to watch and it got 80% on Rotten Tomato. It made this less profit just because there was so much competition in the market at the time it released. 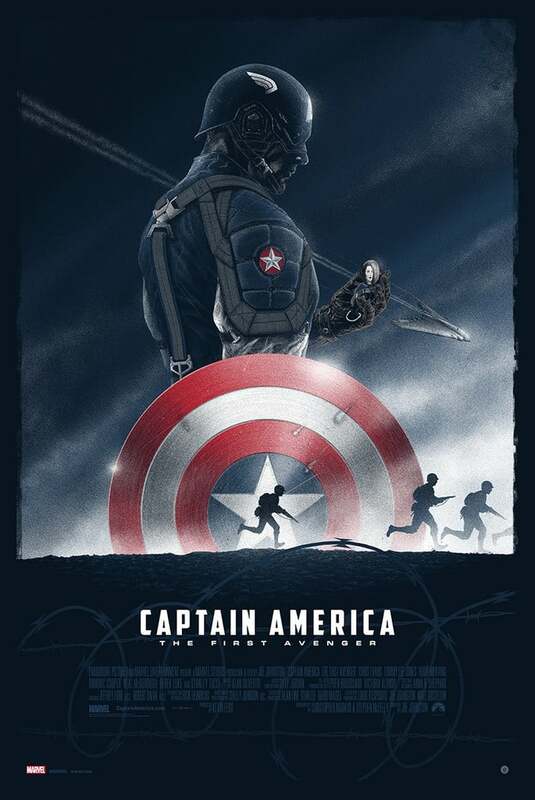 Steve Rogers was a normal little boy, but later, he was selected for “Super Soldier” experiment. 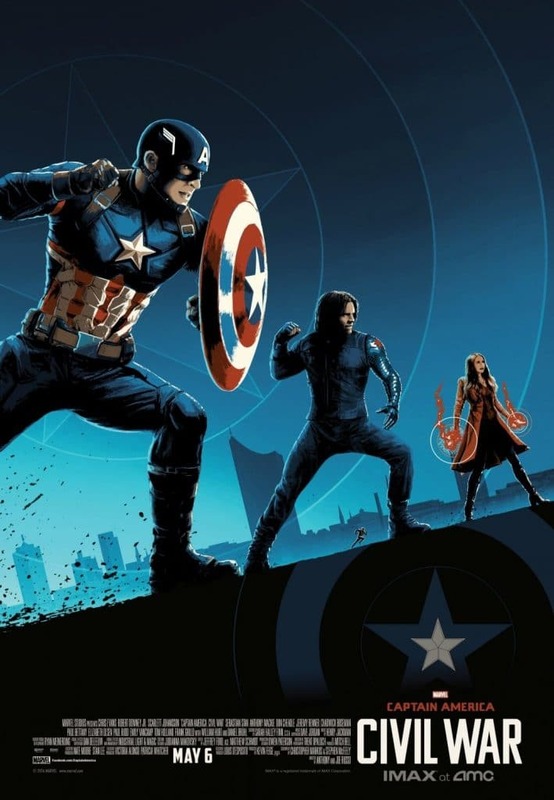 This experiment was successful and gave Rogers a taller and muscular body. 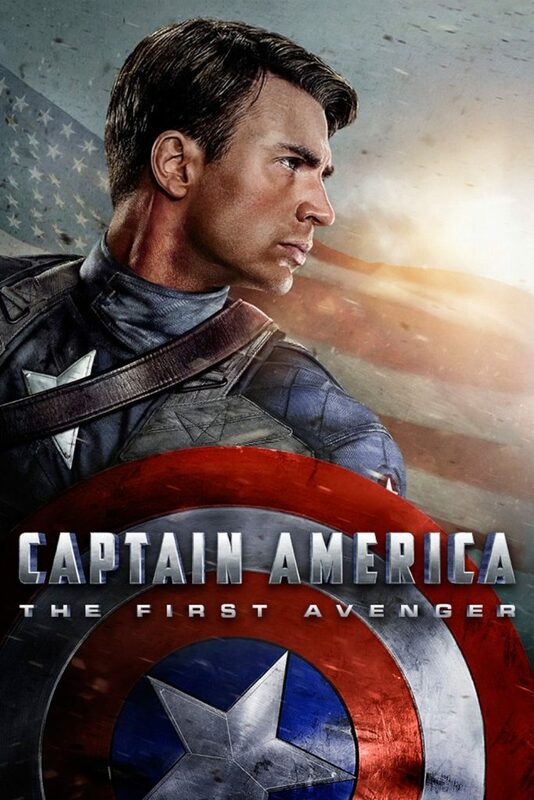 After this, Steve Rogers was known as Captain America. 5. What About The Shield? 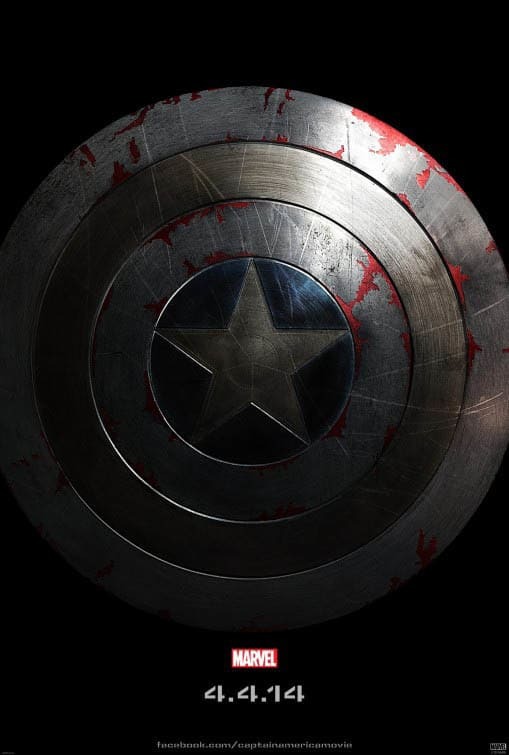 The shield of Captain America was given by Howard Stark, Tony Stark’s father. 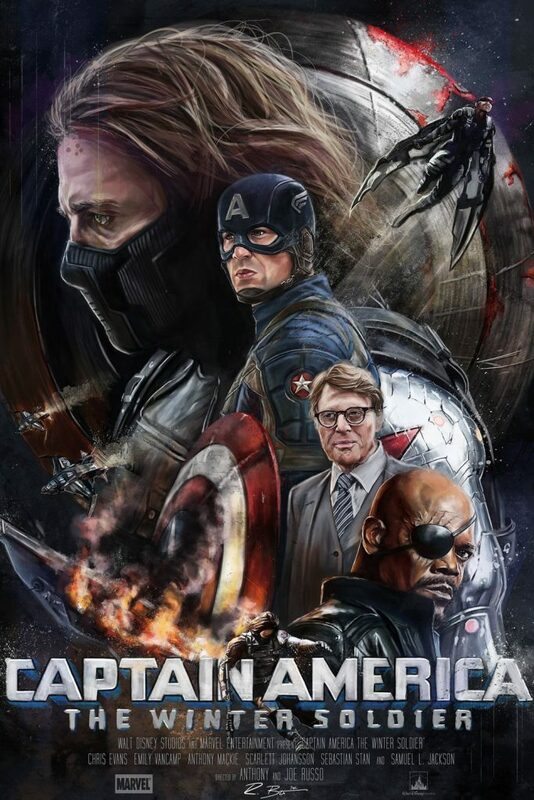 This is still a mystery that how Howard got that piece of Vibranium. 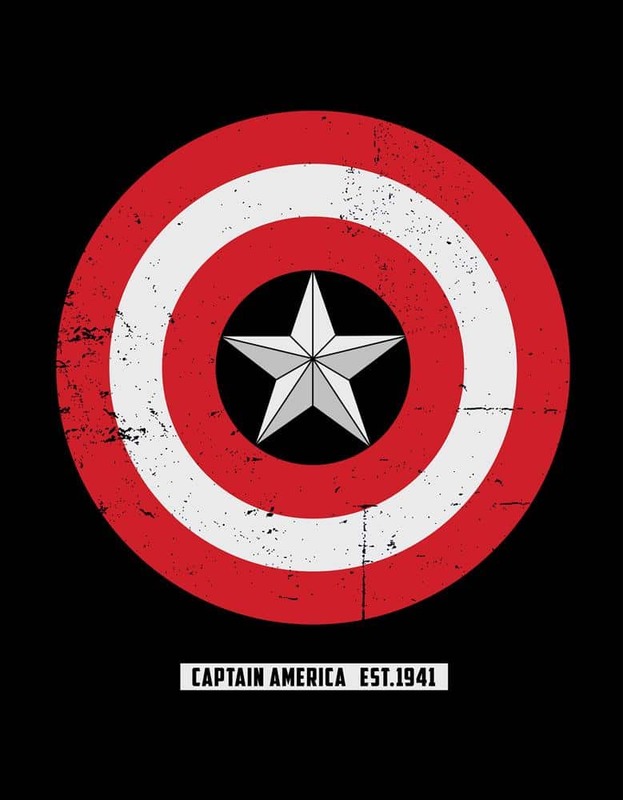 However, some believed that when Vibranium came to earth as a meteor and crashed on Wakanda, some pieces could have landed on nearby areas of Wakanda. Johann Schmidt was a follower of Hitler’s dreams. He used to think just like him and met him many times. He was the head of Hydra, a research division of Hitler. 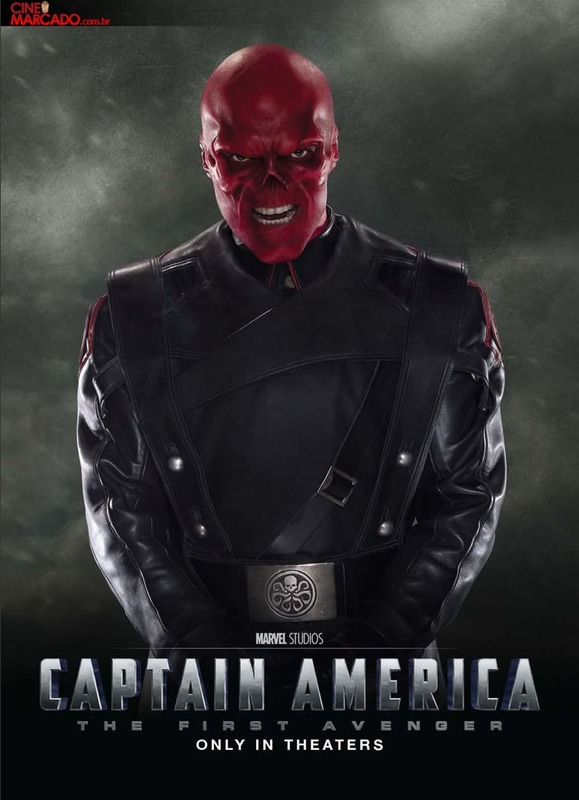 Schmidt then used a serum made by Abraham Erskin, which made him stronger and more intelligent as his mind was clearer now, but it gave him a horrible red face, and that is why he is known as Red Skull. She is the best female character in the movie (because she is the only female character). Peggy Carter is an agent of the Strategic Scientific Reserve, which was a secret agency formed to battle Nazis special weapon. She was also one of the founders of S.H.I.E.L.D. And, of course, she was the love of Rogers. 8. 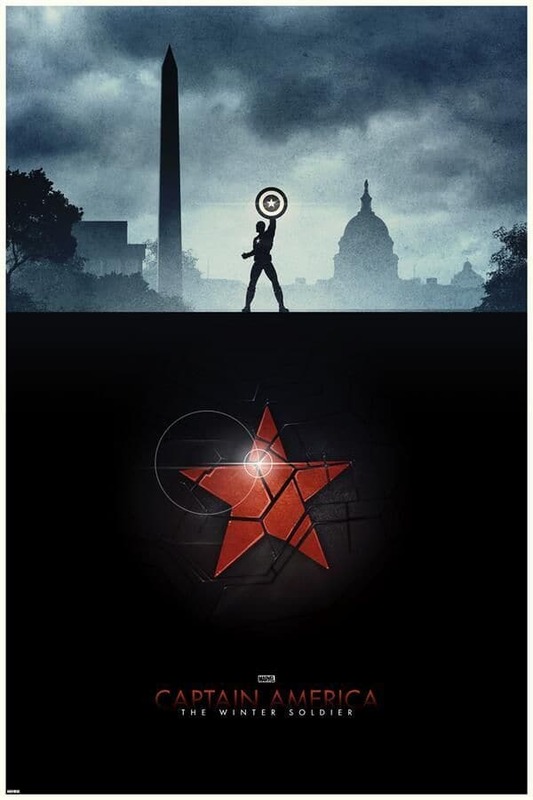 Fu… I mean, Bucky! 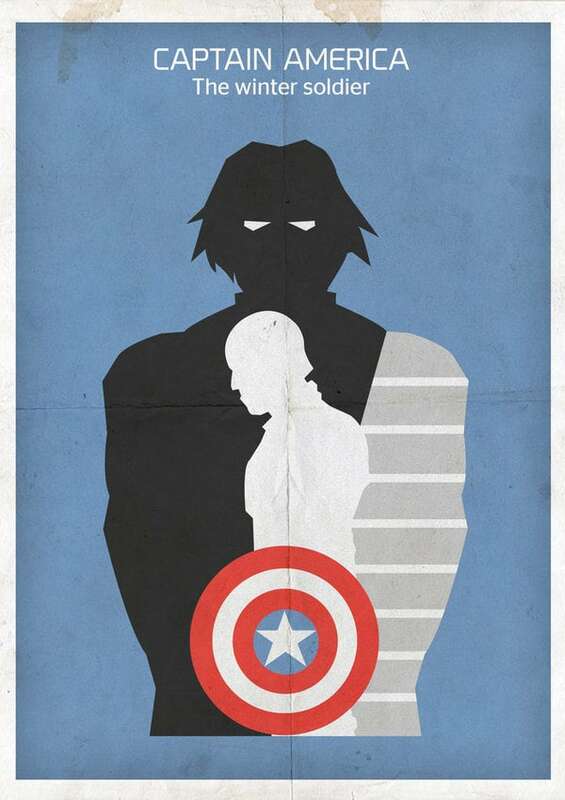 Steve Rogers best friend is Bucky, who was selected in the army but later kidnapped by Red Skull for some experiments. He was later saved by Captain. Then he started going on missions with Captain America, but dies on a mission, at least, this is what they say. 9. Where Is The Little Guy From? Steve Rogers was from Brooklyn. He was a very weak and sick boy. Rogers wanted to serve his country but was rejected many time. Later, General Chester Phillips offered him an opportunity to take part in a top secret experiment which would ultimately serve the country. 10. 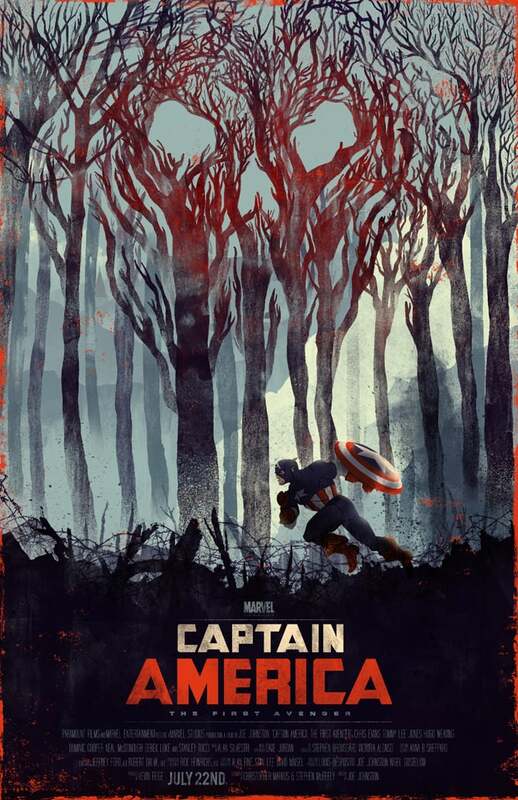 Why Is Captain Even An Avenger? 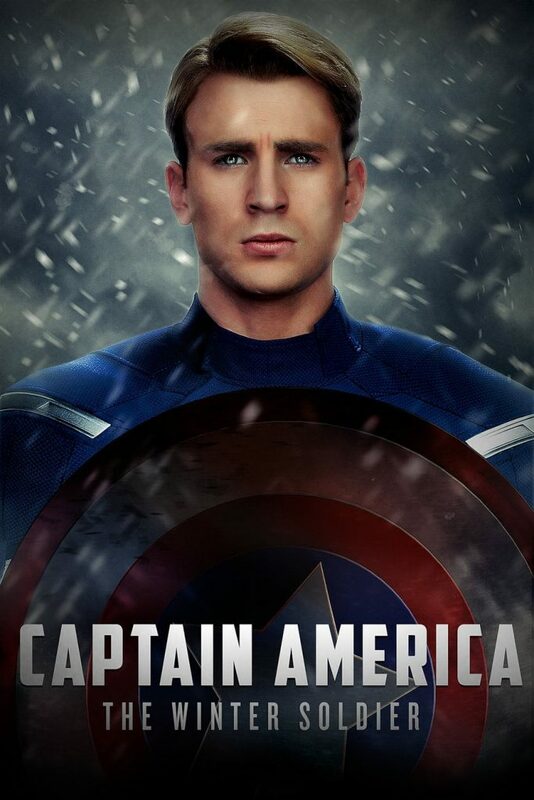 Captain America did not have any super power, he is just, should we call “a steroid boy”? He just was experimented with some technology in the 1940s and use a shield made by someone else. But, he is still an Avenger. He is a perfect example of “Anyone can be a hero”. 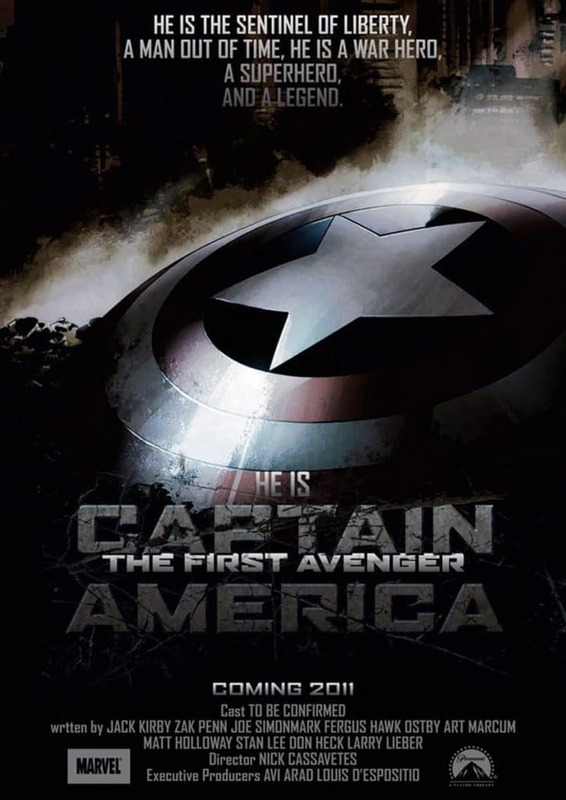 According to comics, Captain is not the first Avenger. Even, he was found much later after Avengers assembled. 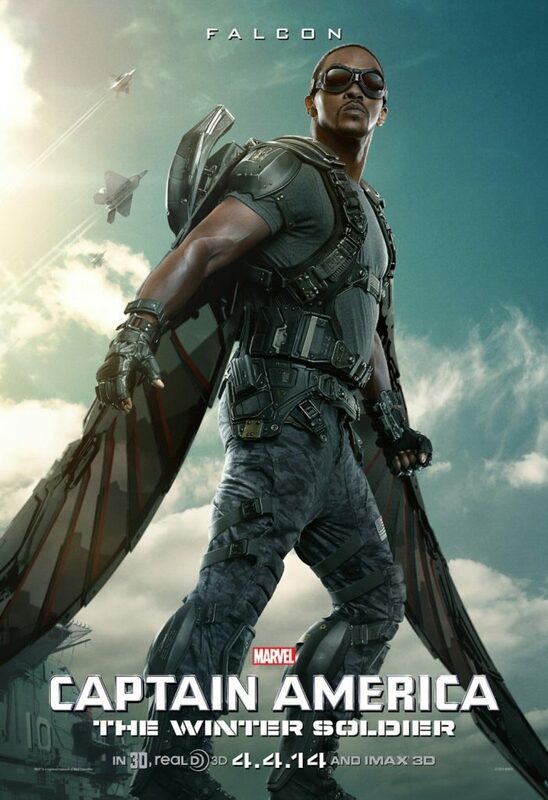 Originally, he was found by the team which included Iron Man, Thor, Ant-Man, and Wasp. He was a substitute for Hulk, as he left because of others reaction to his uncontrollable powers. 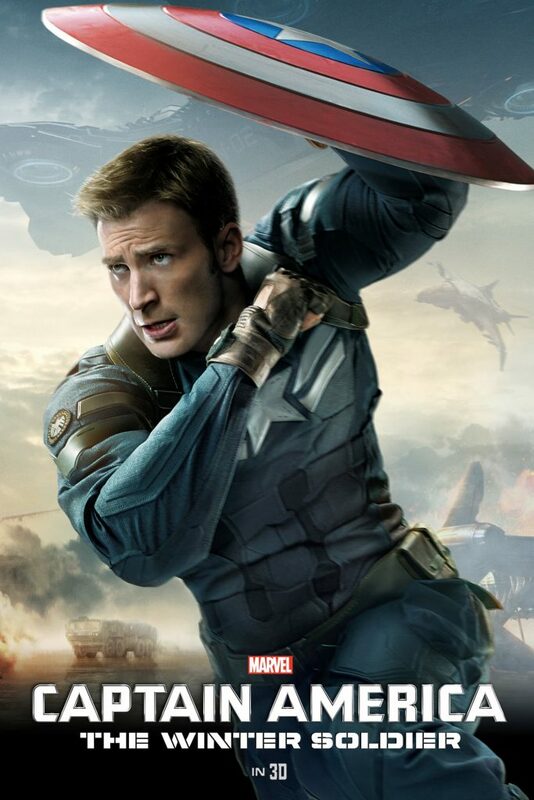 Captain America is shown to be the worthy one to use Thor’s hammer, Mjolnir. In comics, he has used it on some occasions. Also, in movie, Avengers: Age Of Ultron, when all the guys were having a small party, and Thor challenge everyone to lift the hammer, Captain was the only one to move it a little bit, and I think he could have lifted it but didn’t as Thor said that anyone who will lift it, can be the king of Asgard. And the captain would not want his friend to leave his position. That was just my thought, comment below your one. 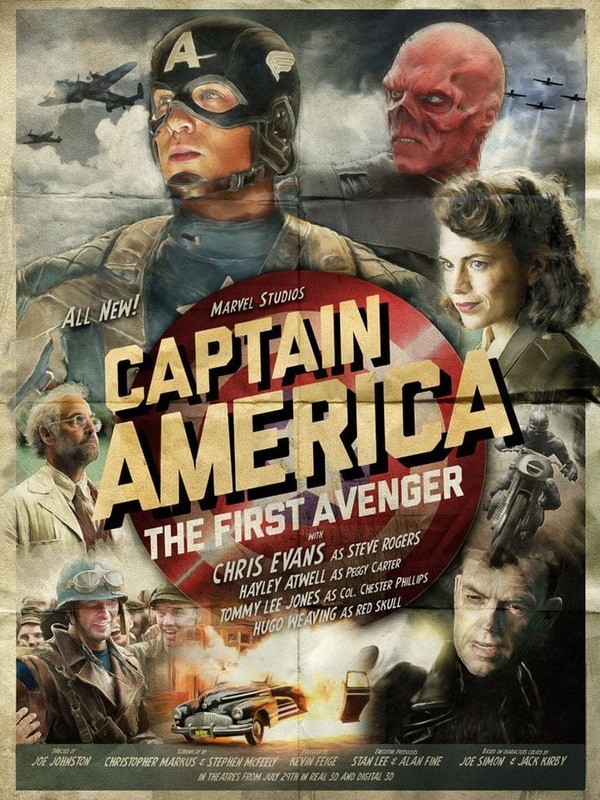 The movie almost featured the cameo of Wolverine and Magneto as both of them were present in WW2. But this idea was denied as there was some issue related to the rights of the movie. The movie features a cube called Tesseract. Actually, the whole movie is based on this cube. And this cube consists of one of the infinity stones. 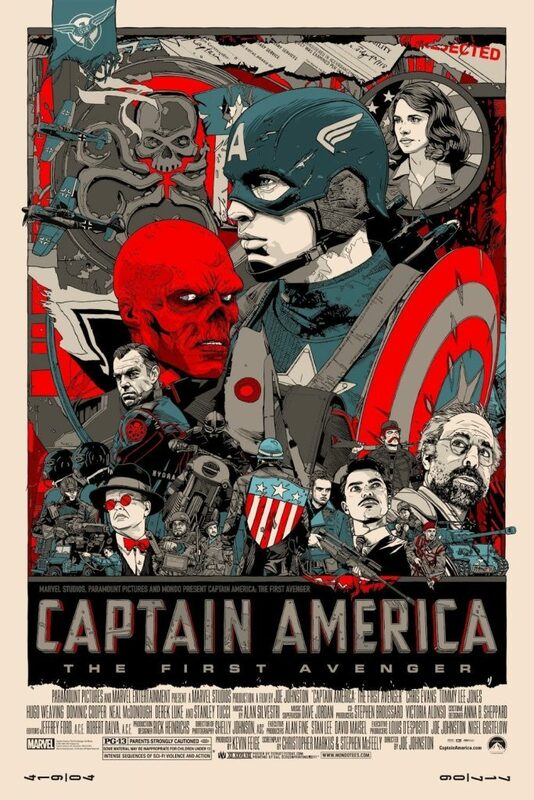 When Red Skull was no more, the cube fell somewhere in the ocean. It was later discovered by Howard Stark while searching for Captain. 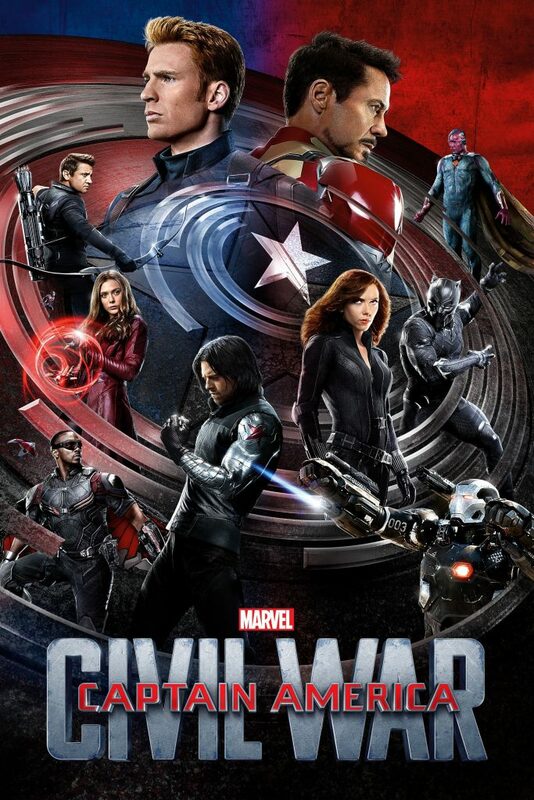 The movie features a full Avengers teaser in the post-credit scene. It seems like, they make movies just to promote their upcoming movies. 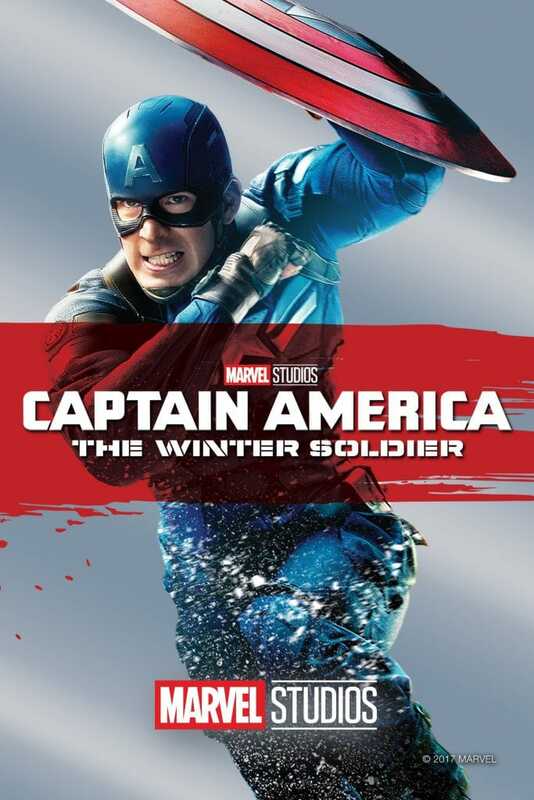 Keep reading to unfreeze the Winter Soldier! 1. 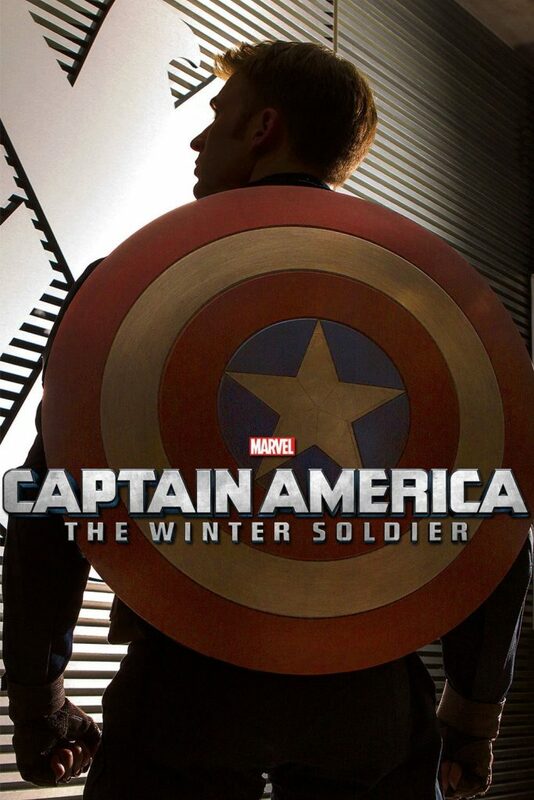 The Winter Soldier, Coming This Summer! The movie was released on April 4, 2014. 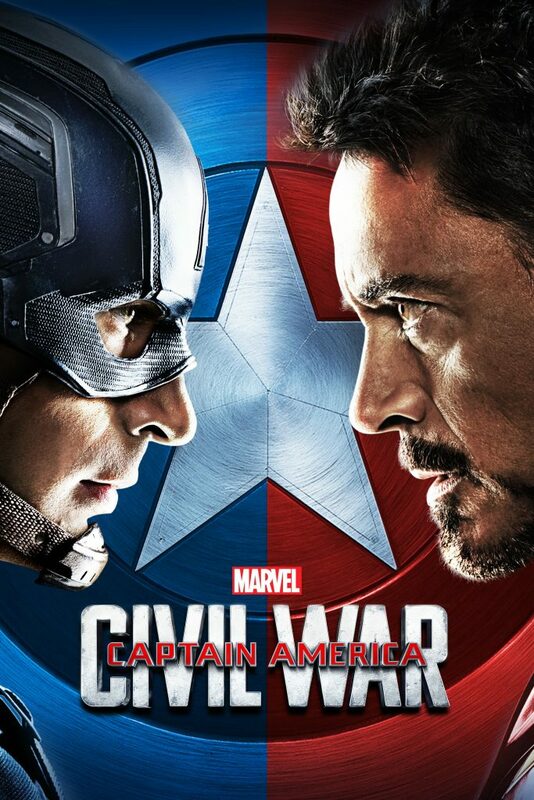 This was great in both, ratings and box office. 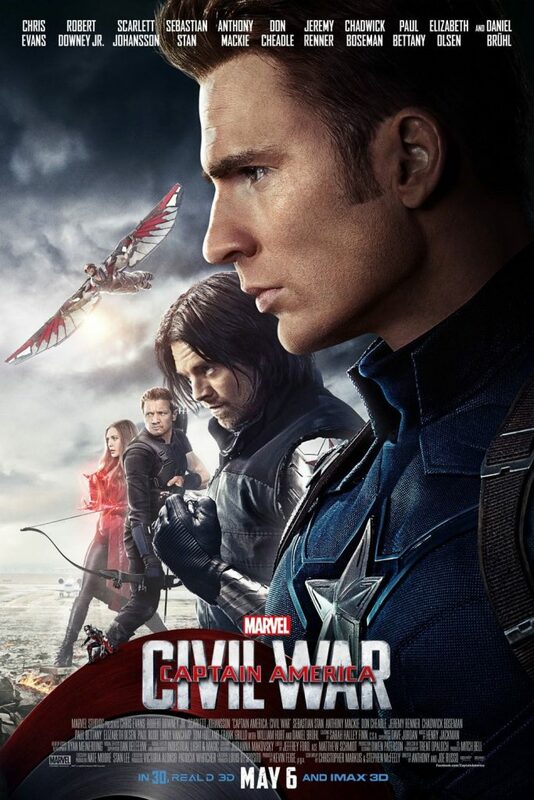 The movie earned over $700 million, which is much more than the first installment of the movie series and the budget of the movie was $177 million, which is much less than the first ones. The movie got 89% from Rotten Tomatoes. And it was also rated 7.8/10 on IMDB, just in case you believe in IMDB more than Rotten Tomatoes. 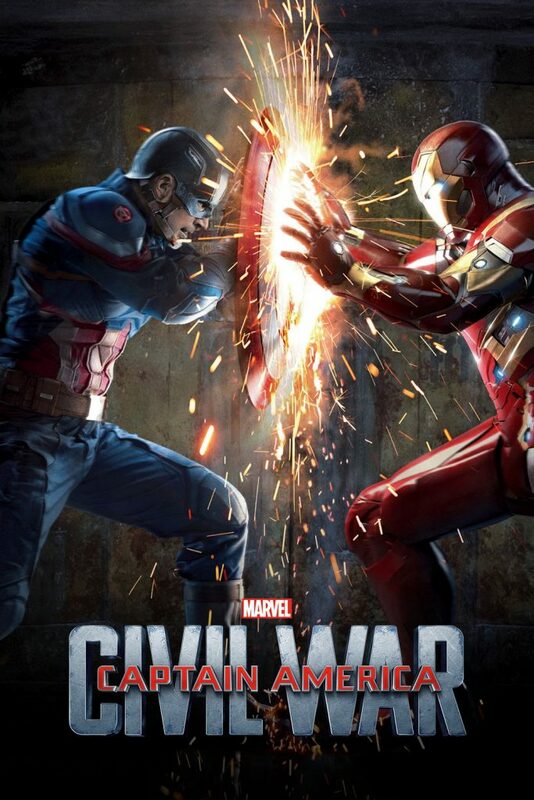 The movie takes place after two years of War Of New York, which took place in The Avengers. 5. Sidechi… I mean, Sidekick! 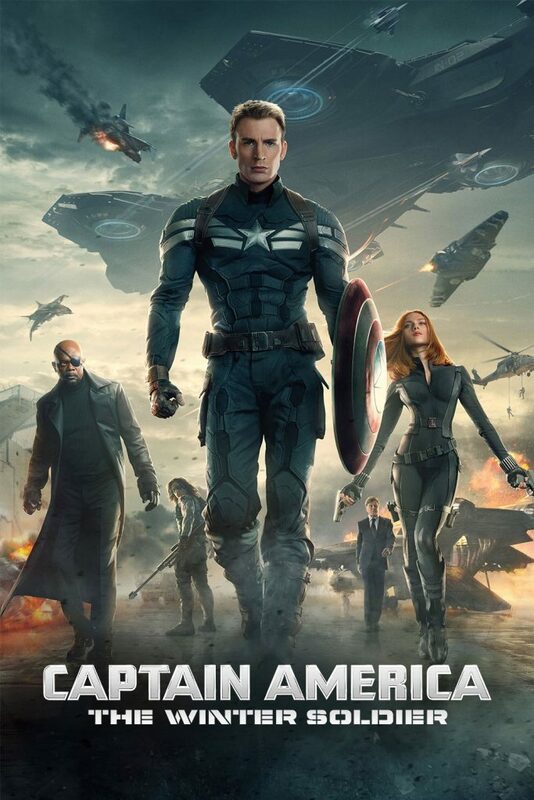 In the movie, Captain and Natasha are the co-workers (or we can say Co-savers ). 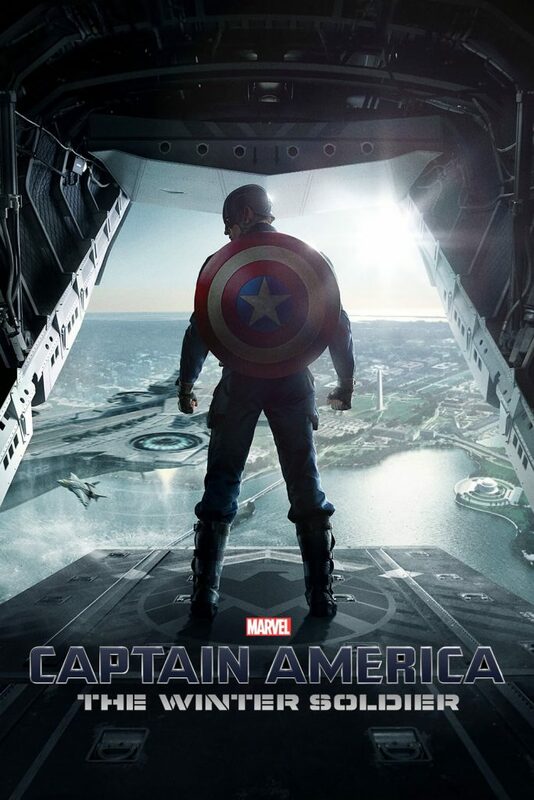 The captain is working with S.H.I.E.L.D to save people. 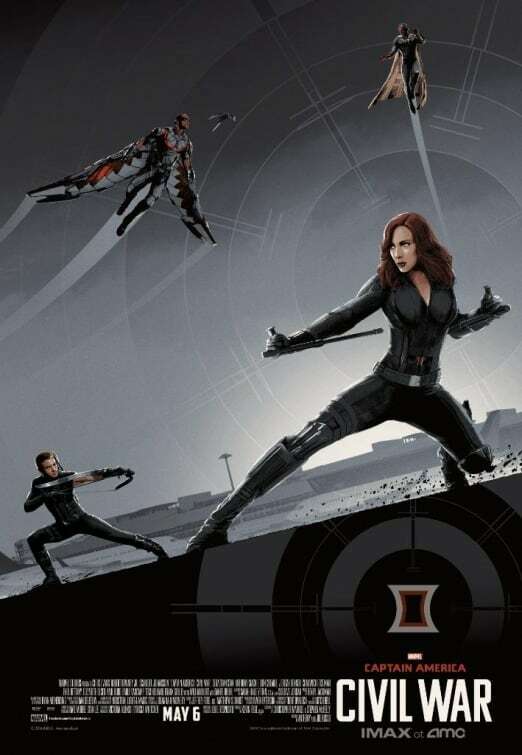 And Natasha, or Black Widow, is portraying his side-kick. That’s a deadly title. 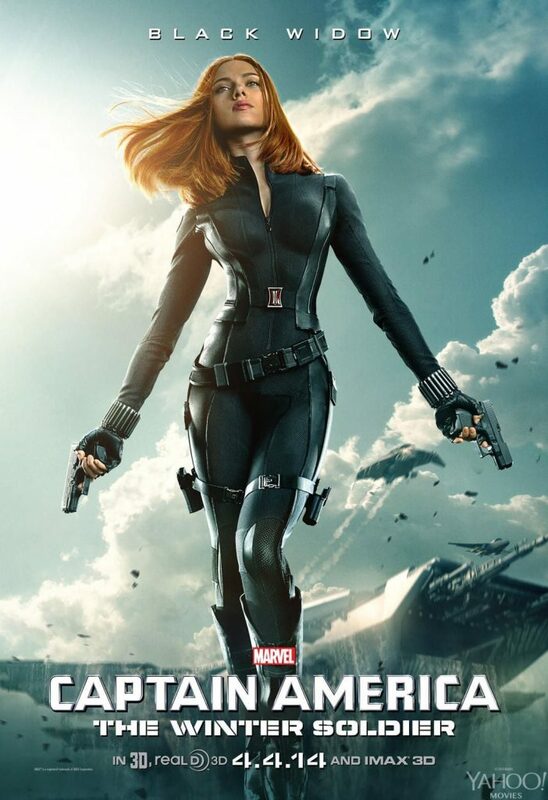 Natasha Romanoff, AKA, Black Widow, is a S.H.I.E.L.D agent. She is known as one of the most talented spies and assassins in the world, and she has extensive mastery in martial arts. 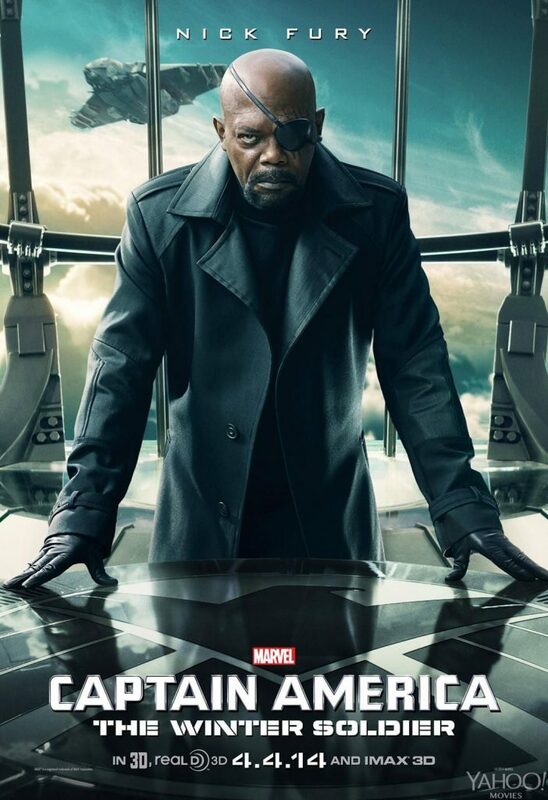 Nick Fury is the director of SHIELD. He will be a big part of the movie, and I’m a fan of his Chevrolet SUV. Probably, not a spoiler, but he will die in the movie, I mean, sort of die! When the screenwriters were asked that why other heroes like Tony Stark or Bruce Banner, etc. 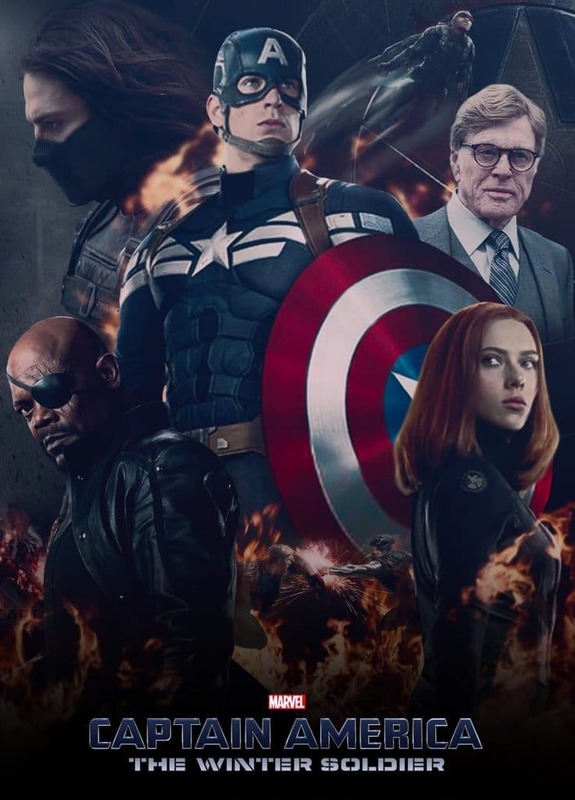 were not called to help Captain or Black Widow, they said that the movie takes place in just three days, so they didn’t have a chance to contact them. 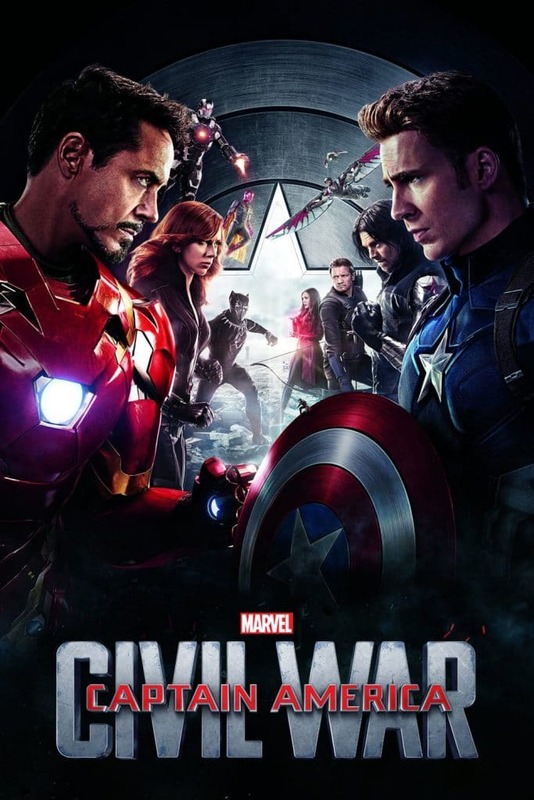 Unlike other Marvel movies, this one feature minimum of the special visual effects. Most of them are live actions. They say, that this is the reason the movie looks so great as staying with the action is dying art. 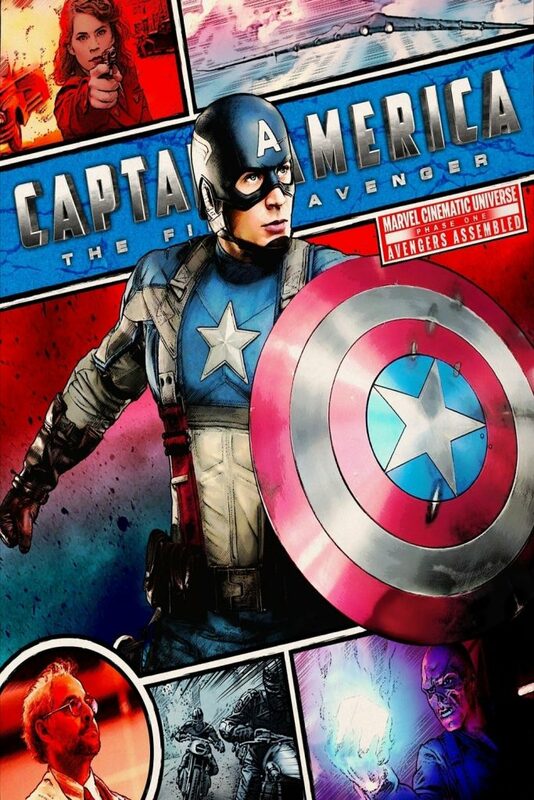 The first comic book of Captain America, which was also the first hero of Marvel, now worth $100,000. 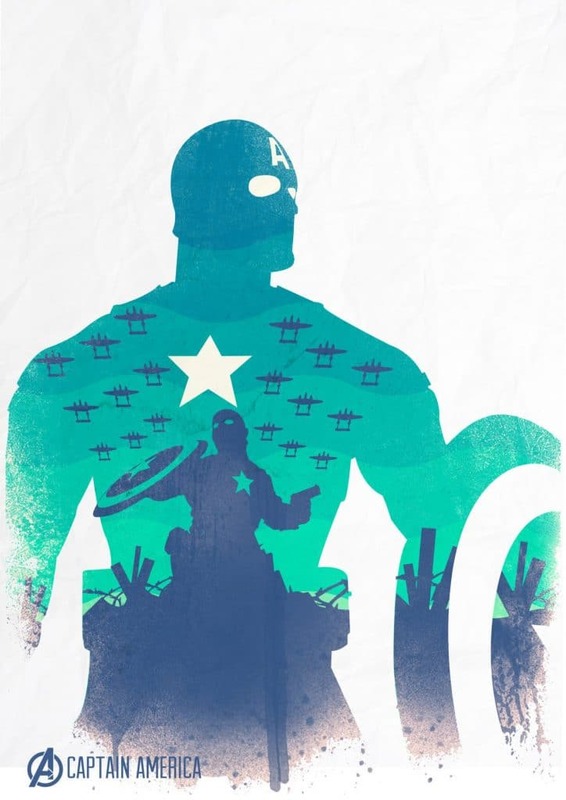 It’s your choice to keep it as a collection or sell it and get enough money to watch all the upcoming movies of Captain America in your lifetime. The movie features a shout out to Stephen Strange, Bruce Banner, and a High School Valedictorian (first I thought it was a reference to Spider-Man). The movie also features twins. 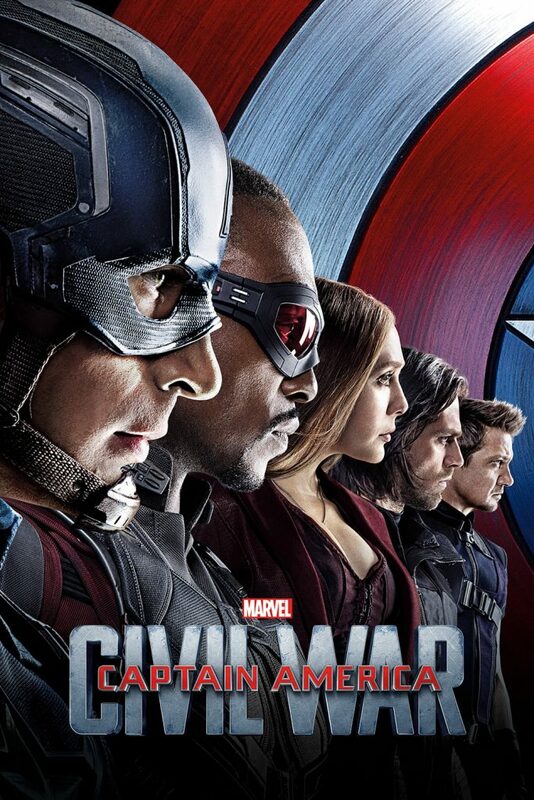 Wanda and Pietro Maximoff are shown in the movie. Their allies are Scarlet Witch and Quicksilver (you can also call him Marvel’s Flash) respectively. 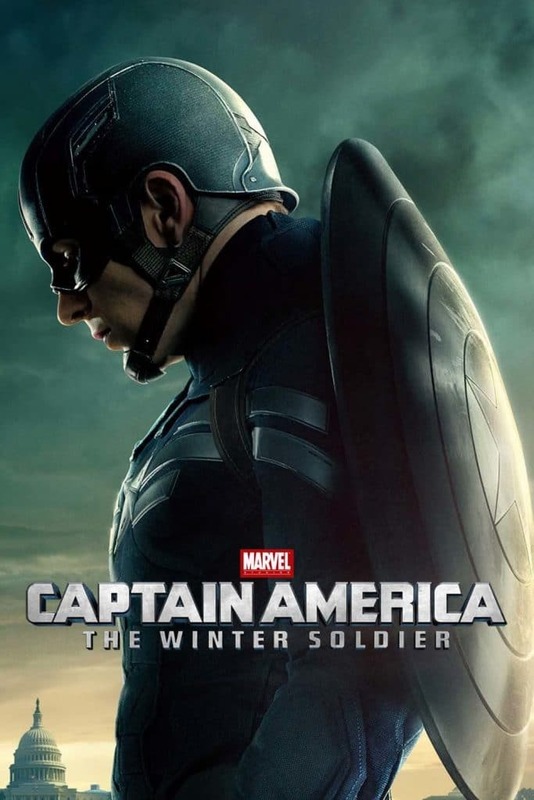 The movie has a character named Sharon Carter, who is an agent at SHIELD and codenamed Agent 13. 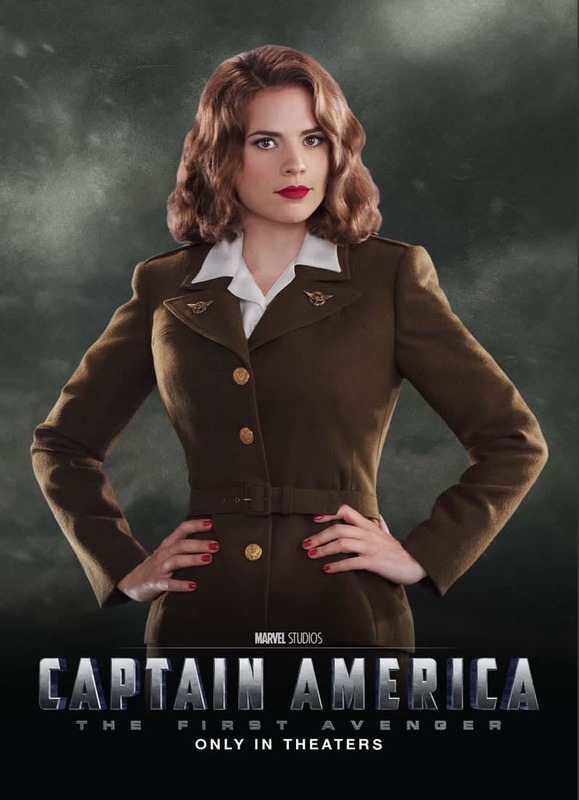 She is actually the niece of Peggy Carter. As she grew up with the stories of her aunt, she decided to be like her. 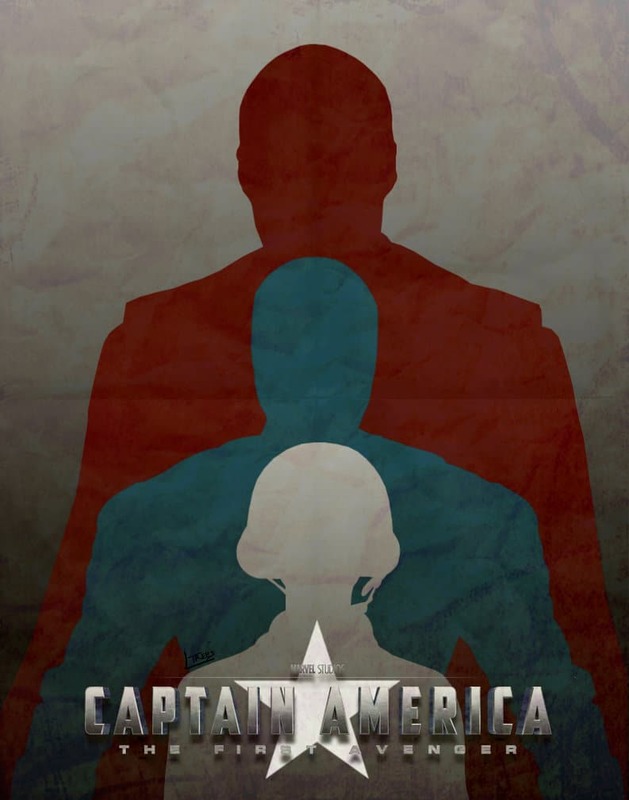 And, maybe, just maybe, there could be romance between her and Captain. At the end of the movie, Maria Hill, the Deputy Director of SHIELD, left the organization and join a more awesome company to work, Stark Industry, not as an intern, but as an employee. She did it so that she doesn’t have to go to prison as the Stark Industries’ lawyers will save her from prosecution. The movie was released on May 6, 2016. 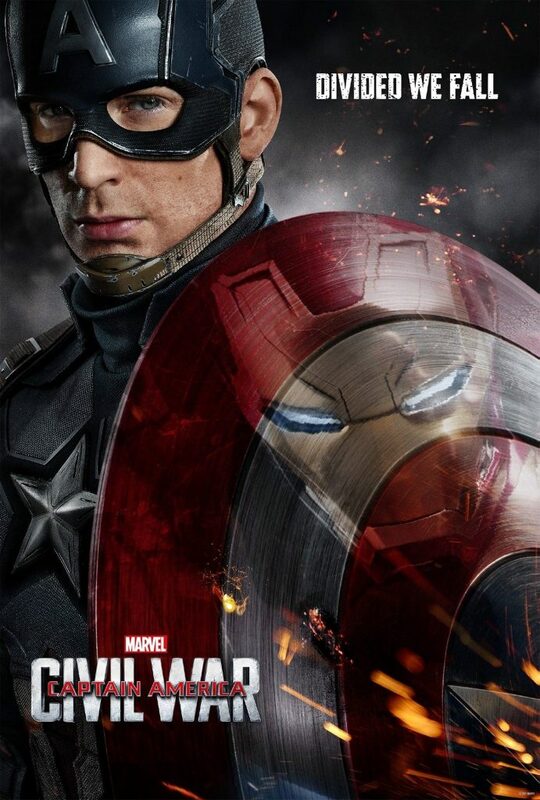 This was really a big surprise, as most of the people were expecting Avengers next part after this. Marvel’s another name must be Money making machine. Literally, they can make the profit out of nowhere. 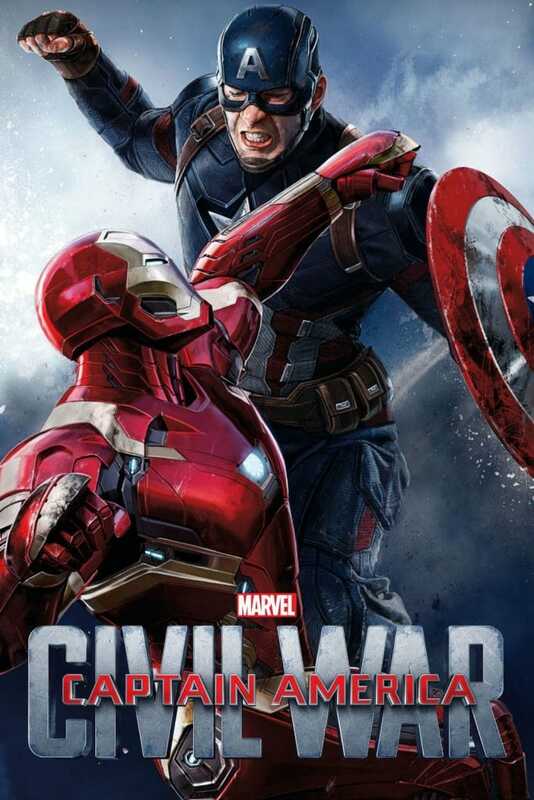 This movie features the fight of heroes only, and they collected a wonderful amount of money. 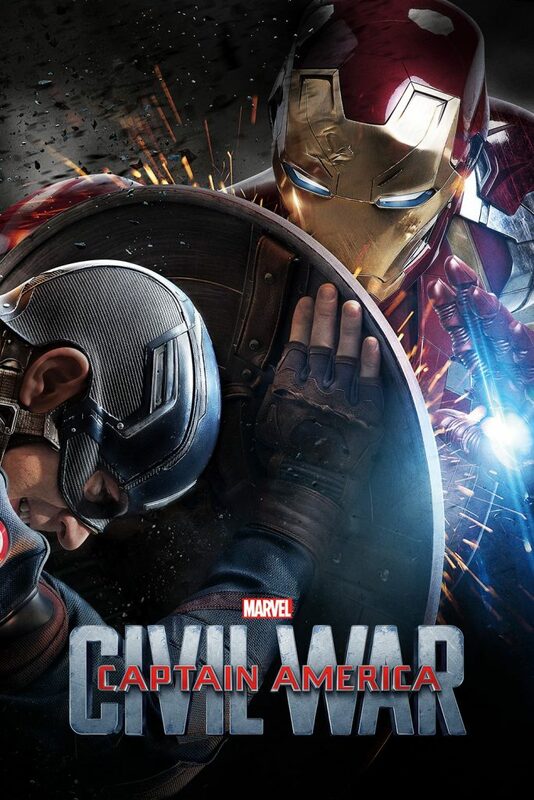 The movie made over $1 billion on a budget of just $250 million. 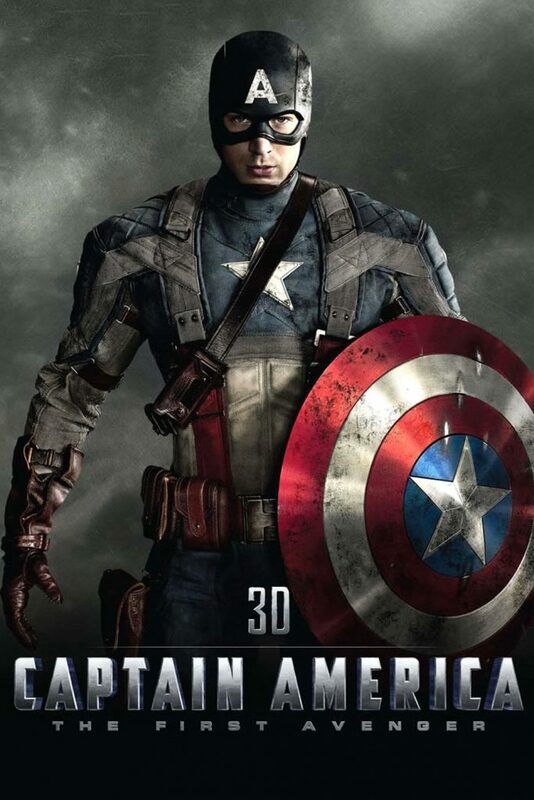 You can now compare the profit of first Captain America movie and this one. 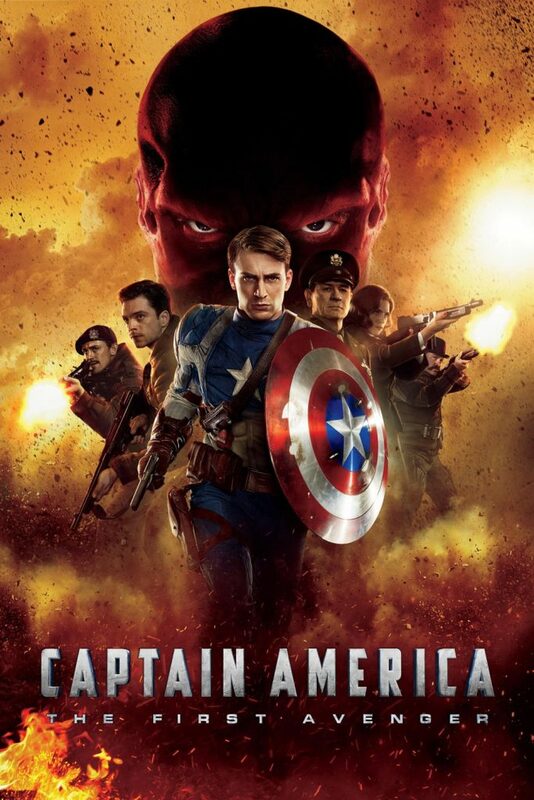 I don’t know how this movie even a Captain America sequel, it should be an Avengers part. 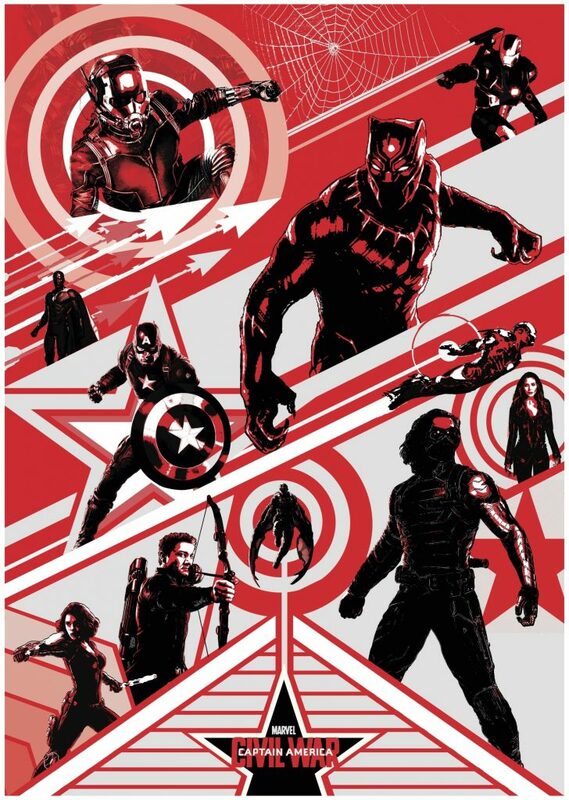 All the characters are in the movie, even those one too, who are not in Infinity wars. P.S. 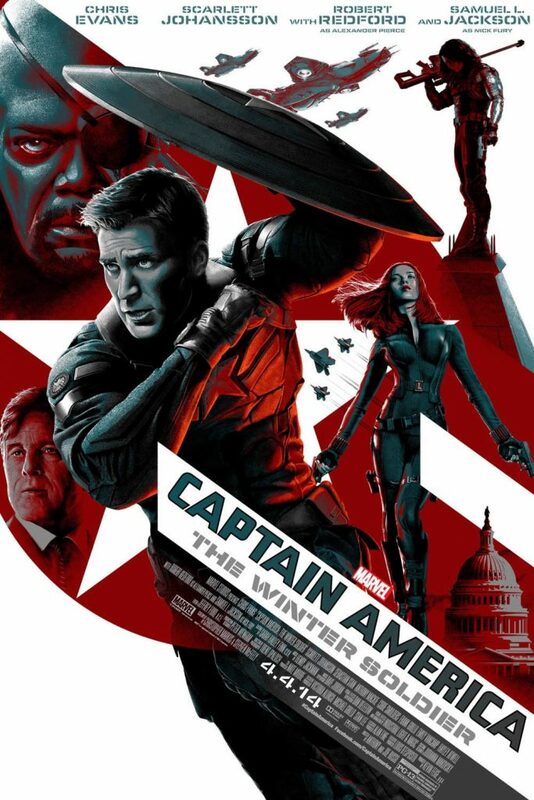 This is the 4th Captain America poster, and I don’t know how long will they keep staring at each other. 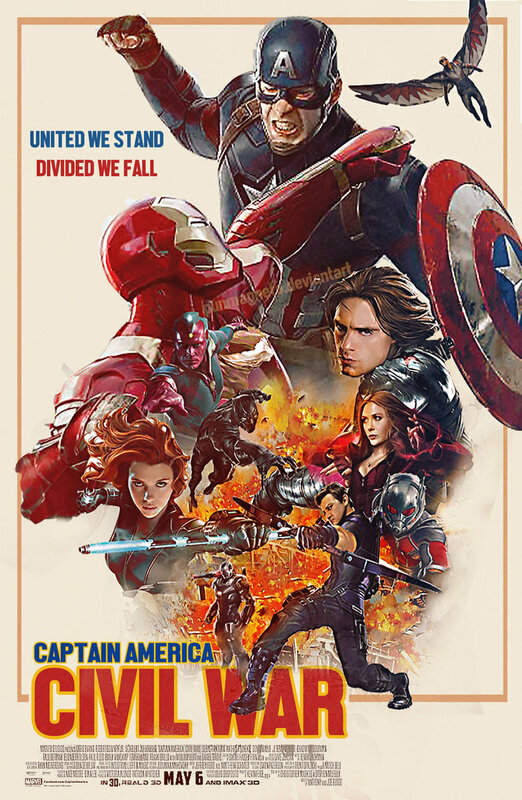 It’s hard to understand, but basically, Tony wants to hand over the rights of Avengers to Government and take a break from the busy heroic schedule, as he afraid that something devastating will happen “again”. 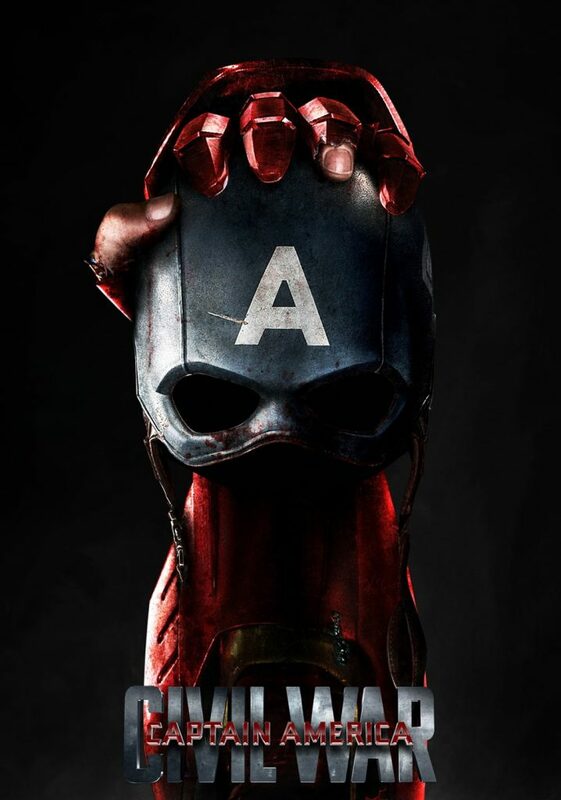 It seems like Captain America have taken the words of Dr. Erskin too seriously. Dr. Erskin said to Steve Roger, a night before the experiment, that whatever happens, he must remain the way he is, never a perfect soldier. It’s just some theory. And so, Captain doesn’t want to support the decision of Tony. 7. Why Your Highness Supporting Tony? 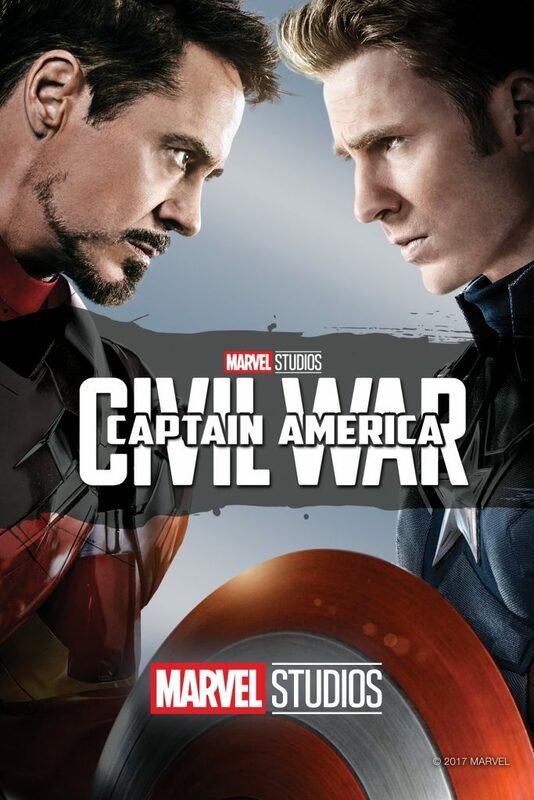 T’Chala or Black Panther is introduced in this movie only. His father died when he was in the city with him, for some press conference. 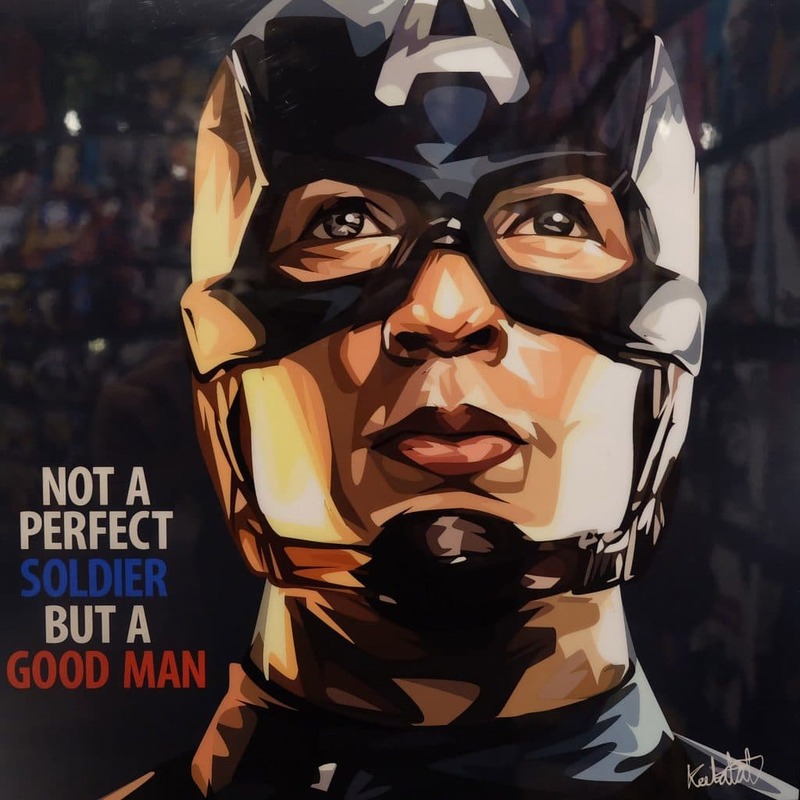 He is on the side of Tony Stark. This is more of a political decision than a personal one. Black Panther is not the only one to debut in the movie, Spider-Man is also here to cheer. He is supporting Tony Stark. Though makers don’t want to reveal it before the release, but it’s clear now. From the trailer, you must have judged the movie as a serious one, with a gloomy climate and everyone being very serious. But this is Marvel, dude, it’s impossible that they don’t make us laugh. 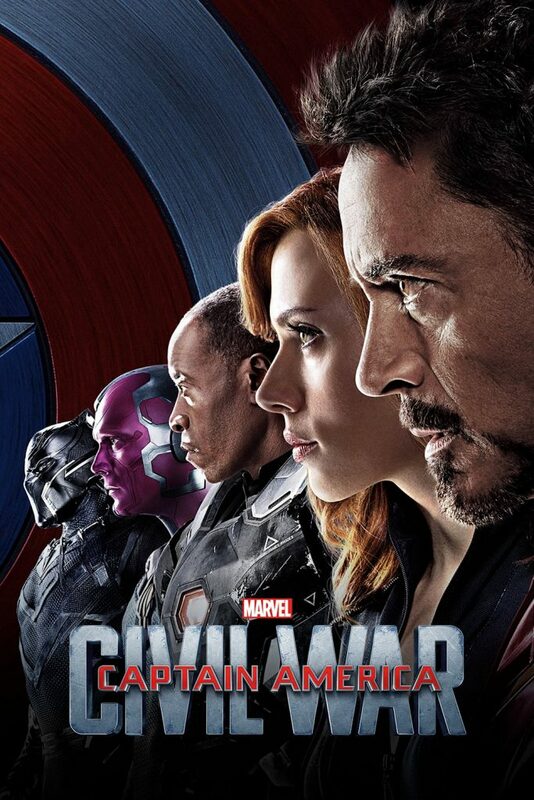 Moreover, this movie features Spider-Man, Iron-Man, and Ant-Man too, there is no way it’s not a funny movie. 10. Not The First “Hero V/s Hero” Movie! The best scene in the movie is when all the heroes fight one another at the airport. This will be one of the best scenes in Marvel’s history. 13. Who Do I Support? 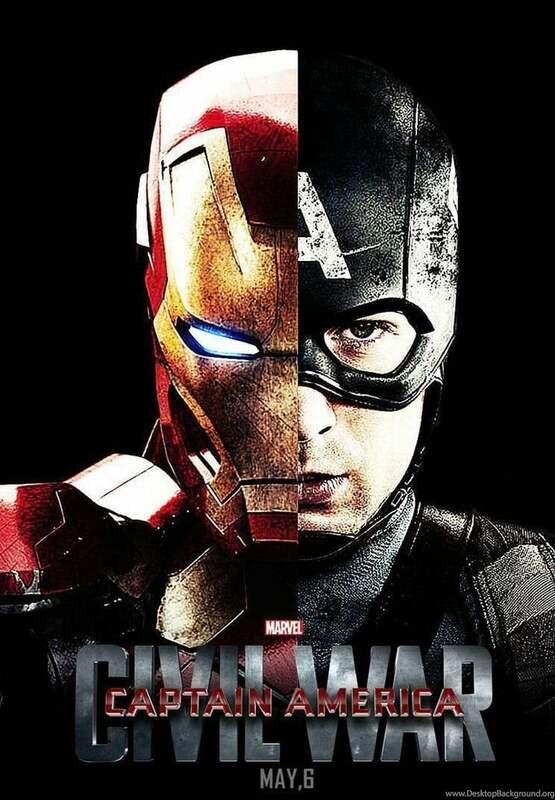 Before watching the movie, I used to blindly support Iron Man (Though I still do that sometimes), but both the heroes have their own point, which will influence you. Ironman says that they should take a break and hand over the authority of the Avengers to the government because they have already caused too much chaos. 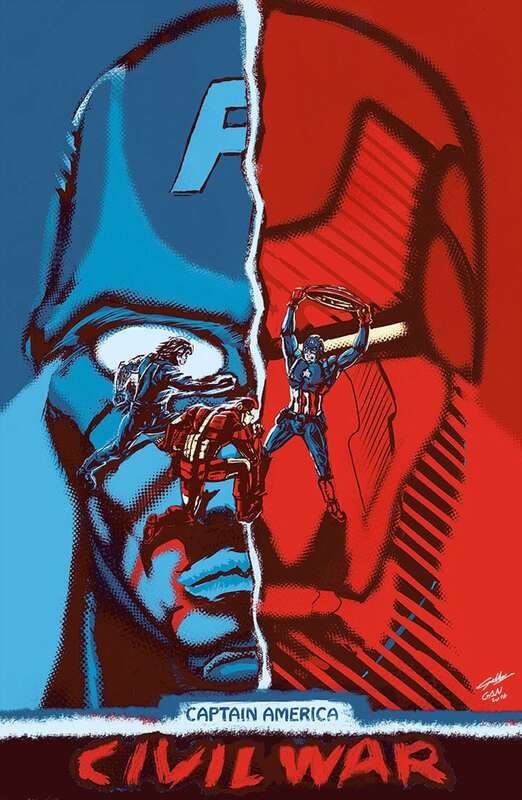 Whereas, Captain America believe that if a politician has the power to chose the heroes, they will also able to decide who will be the villain. In my opinion, everyone is right in their own way. 14. Is That Tony Stank? There is no way that one is a Marvel’s movie, and don’t feature Stan Lee cameo. Sometimes, I feel like, he is an important part of MCU and can travel in time and that he is spying on all the heroes. What if he is the most powerful villain of MCU? 15. I Can Do This All Day! 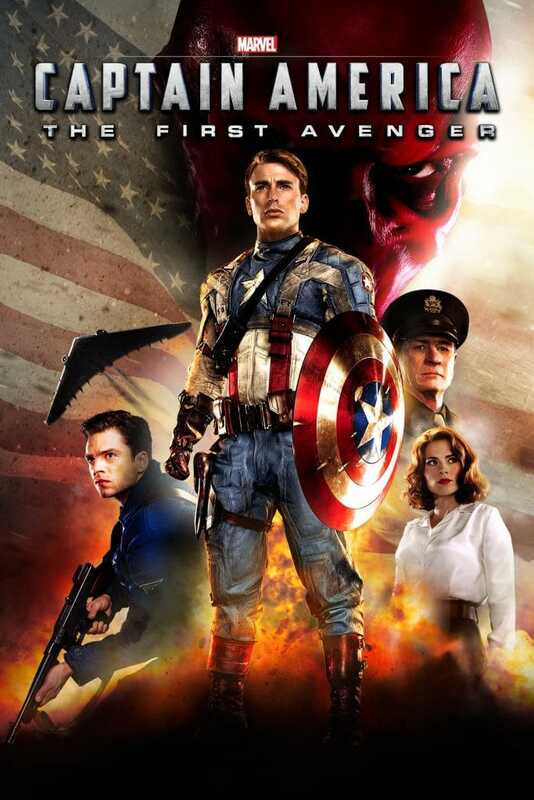 This line forms the first part of Captain America. He used to be bullied a lot and now he has a habit of getting beaten. So he says that I can do this all day, just like us, We can bring you printable posters all day! 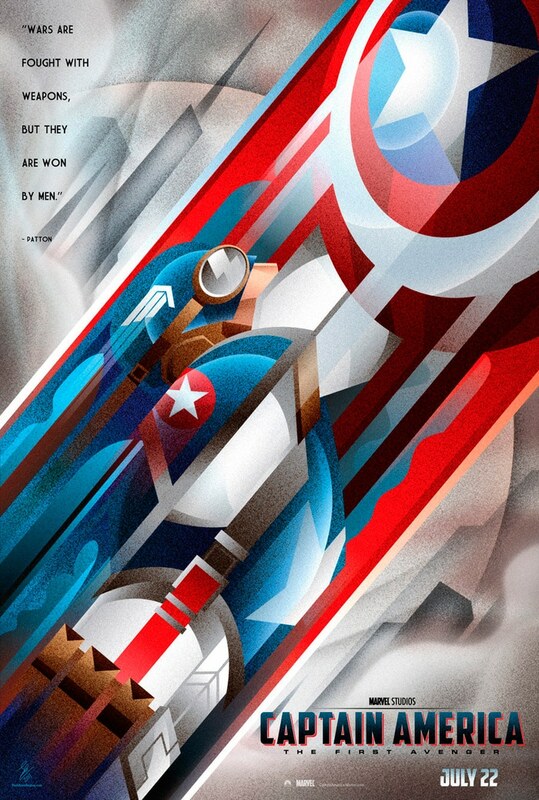 Here are some bonus Captain America poster for you as you really are a Captain Fan! Enjoy! If you are a techie kind of guy, then the real fun starts in the second part, though you have to watch all the parts, especially first, to understand the story. 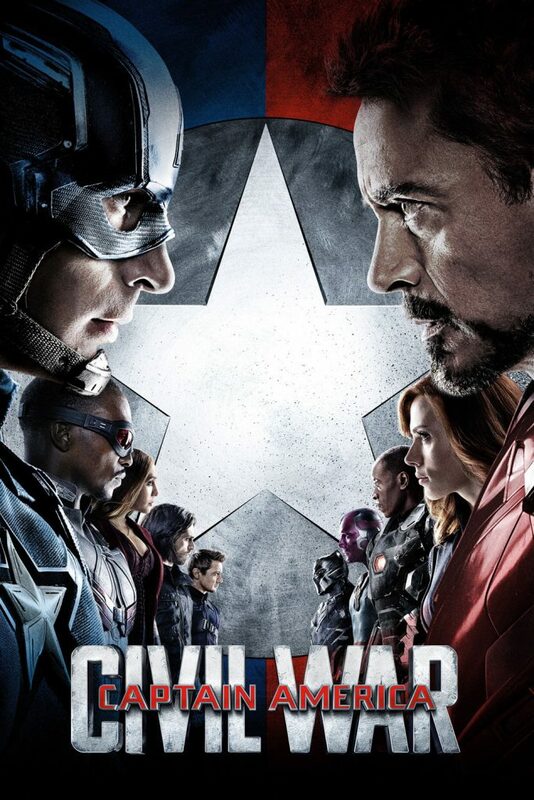 The third installment, which is basically an Avenger’s third part, is best of them all. 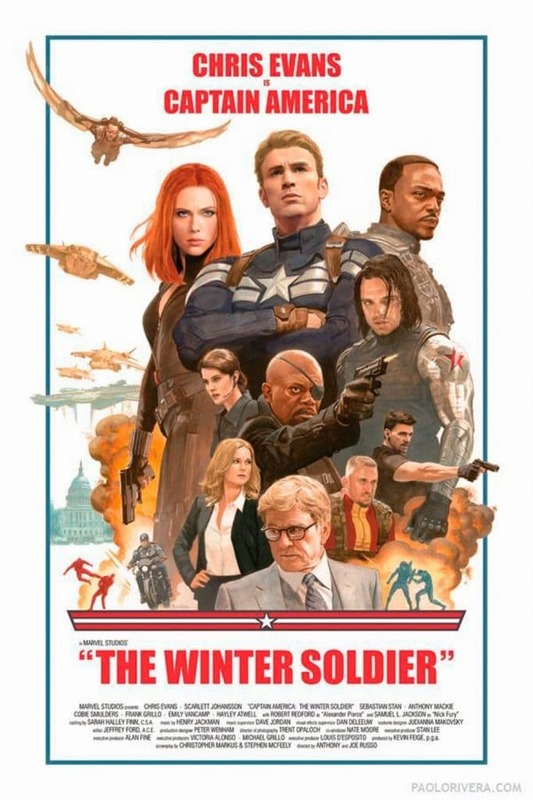 Although, it is totally based on Fu… I mean, Bucky, Captain America, and Iron Man only, but it features all the best heroes, who will entertain us till the end. One more thing will be with you till the end, i.e., this website. You can download any of the posters given here for totally free, all you have to do is right click the poster (long press, if you are using it on mobile), and click “save image”. Bamm! You saved the world! Share this post with your friends and family as there is almost no one (except DC itself) who don’t love Marvel movies. Bye for now! 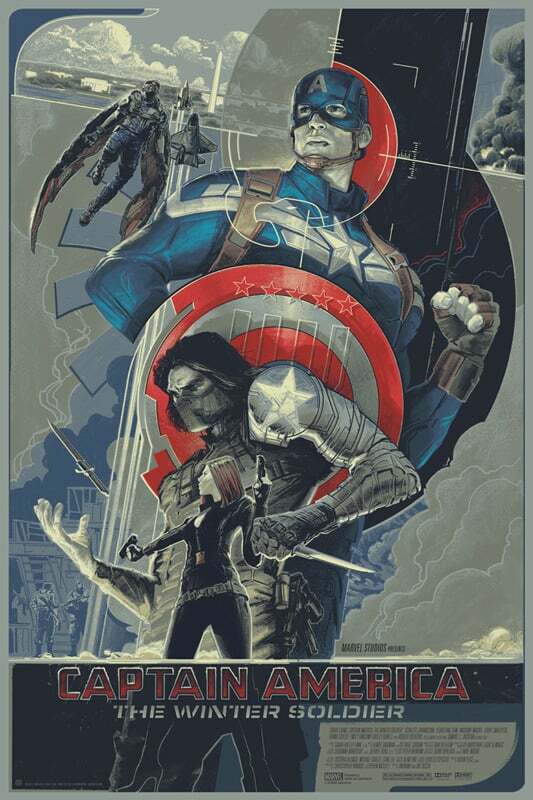 Hail Hydra!